Material: Shell fabric: 95% polyester, 5% elastane. Detail: 100% polyester. Lovely dress with details on the sleeves from CHIARA FORTHI. 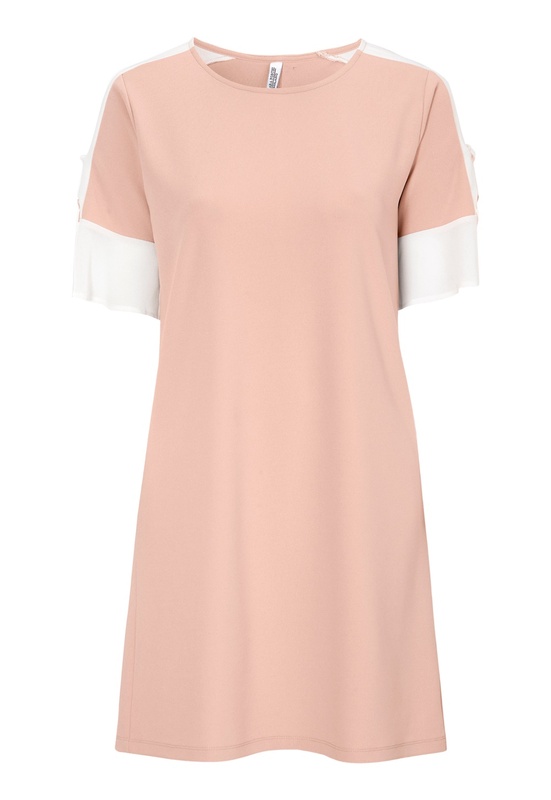 It is a short, straight dress with eyelets and slight flounce at the sleeve cuffs. It even has contrasting colored panels on the shoulder/sleeve that gives it a sporty look. - Silver colored metal logo at the neck. -Length of the dress in size S: 88 cm.